Windows | Windows, North Carolina | G&S Contracting, Inc.
Not only can new windows make your Mooresville, NC home more efficient, but they can also enhance your home’s aesthetics both on the inside and the outside. Windows in North Carolina – As a homeowner, you are likely always looking for opportunities to enhance the energy efficiency of your home. If you have yet to consider replacing your old windows with new, energy efficient ones, at G&S Contracting, Inc., we strongly encourage you to do so. Not only can new windows make your home more efficient, but they can also enhance your home’s aesthetics both on the inside and the outside. If you need help figuring out which windows to enhance your home with, we have a myriad of different options for you to pick from. From bay windows and double hung windows to garden windows and picture windows, we are confident that you will be more than pleased with our selection. After we help you select new windows for your home, we can then take care of the entire installation process. All we ask of you is that you sit back, relax, and get ready to enjoy your new windows. As a business that has served the Mooresville, North Carolina area for over three decades, we are eager to add you to our list of satisfied customers. During both the window selection and installation process, we will provide you with excellent customer service and do everything we can to ensure that your exact needs are met. 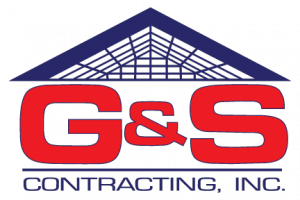 Contact us at G&S Contracting, Inc. today to find out more about our different window options and our other home improvement services. As home improvement contractors, we can’t wait to help you realize the benefits of enhancing your home with new windows. At G&S Contracting, Inc. we offer the highest quality Windows to our customers in North Carolina including: Cornelius, Davidson, Huntersville, Charlotte, Mooresville, and Lake Norman, North Carolina.